Adopt Hope is a non-profit Christian support resource for adoptive families and families pursuing adoption. Our board is made up of an eclectic mix of adoption stories but there’s one thing we all have in common–we’ve been so impacted by adoption in our own lives that we want to help resource others to pursue it for their families. From funding to support groups, the goal of Adopt Hope is to assist those facing the many joys and trials of adoption. Whether you’re adopting or supporting those who do, as believers we’re all called to adopt hope for the orphan. 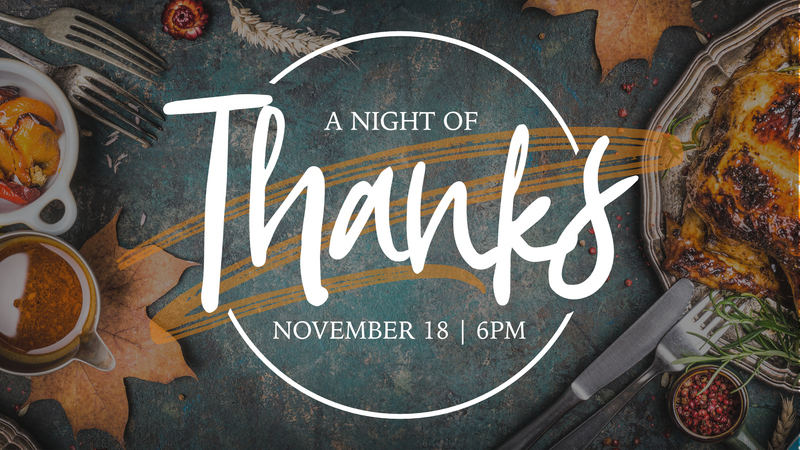 On Sunday, November 18th at 6pm, our church will gather for an evening of music and a thanksgiving feast! 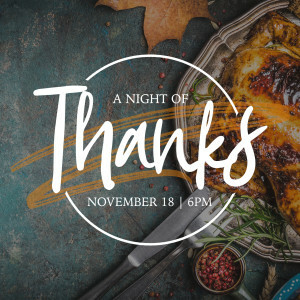 Adopt Hope will use this evening to officially announce our newly formed non-profit and let our church family know about the ways they can stay connected as it grows. 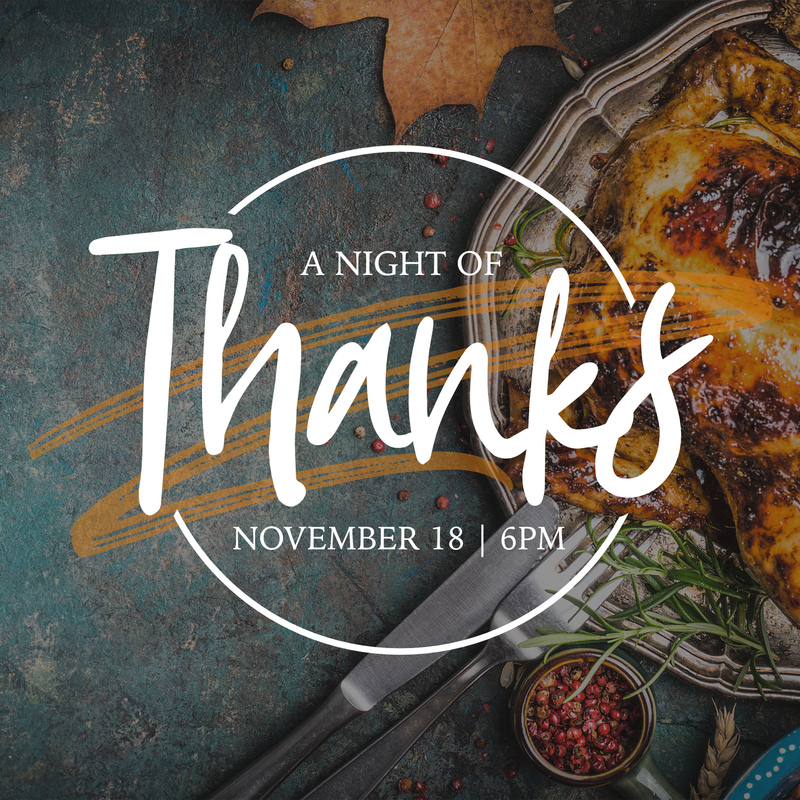 If you’re in the area, come by to hear some wonderful stories of adoption and enjoy a delicious Thanksgiving meal! Download this graphic file and post it on Facebook and Instagram! Last March is where Adopt Hope all began.The evening featured incredible music and gave everyone an opportunity to hear about the seeds of Adopt Hope. After the event, some conversations began to form with others who shared our same passion and heart to expand the ministry of adoption past just our current need. God was at work and was calling others into a larger story. Over the next 6 months these conversations turned into a team of board members and a non-profit was born! Watch the recorded live stream below! We use the cliché phrase, “There’s never a dull moment” in our house all the time! And that’s never more true than right now. Two years ago our lives changed forever when we adopted our oldest son, Isaac. It was a process and experience we’ll never forget and gave us a front row seat to God’s heart like never before. Watching him grow has been the joy of our lives and we can’t imagine our story without him. Having previously lost two kids to miscarriage and not seeing a positive pregnancy test in over 5 years, we assumed the next addition to our family would come through adoption as well. But life has a way of surprising us and, just last year, our fading hope was given new life as Tina gave birth to our second son, Levi! At this point our house is beginning to bust at the seams. We have chosen to live communally which means between our two families we have 4 adults and 3 kids under 3 years old living under the same roof. But just as things seemed they couldn’t get any crazier, we got a phone call a few months ago that, again, has changed our lives. On the other end of the line was the social worker who helped us with Isaac’s adoption. She was calling to let us know that Isaac’s birth mom was pregnant again and that she wanted us to adopt this child as well! To make a long story short, after months of praying and processing, we have decided to move forward and pursue this adoption! The circumstances surrounding this adoption are such that we need more support than ever. We have full trust that God will provide all our needs in this process and we’re excited to invite our community to help in this next step for our family. We greatly appreciate the prayers and support you give and couldn’t do this without you! Prayer support is absolutely vital for those pursuing adoption. With every adoption the risks are high and anxiety can overwhelm. The mental, emotional, physical, and spiritual taxation that occurs to all parties involved is very real. Since adoption is so close to the heart of God and can be one of God’s greatest tools for redemption, the enemy wants nothing more than to disrupt it. Your regular commitment to pray for health, restoration, provision, and salvation may be the most important thing you can do! Adopt Hope is officially a non-profit organization so every donation made is tax deductible and will be used to help pay adoption expenses directly to families in need. Finances are unfortunately one of the largest hurdles for those seeking to adopt so your partnership is vital to the mission of Adopt Hope. Thank you! 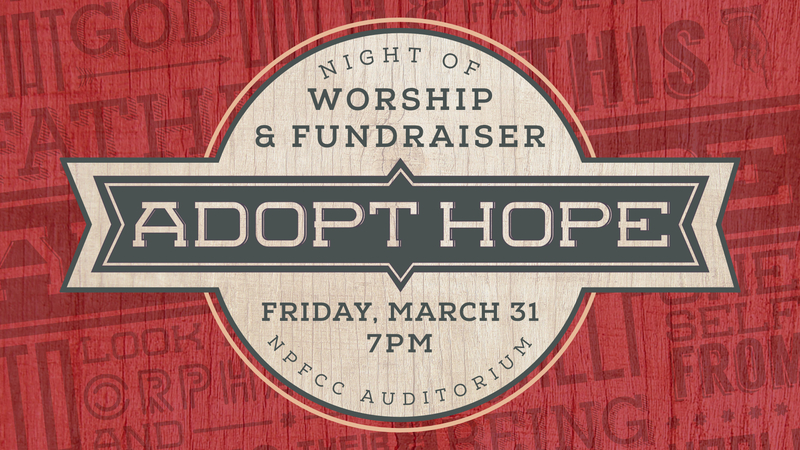 Make sure you select the “Adopt Hope” category on the NPFCC donation page.